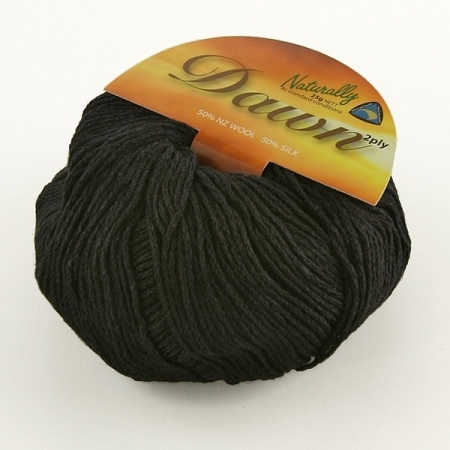 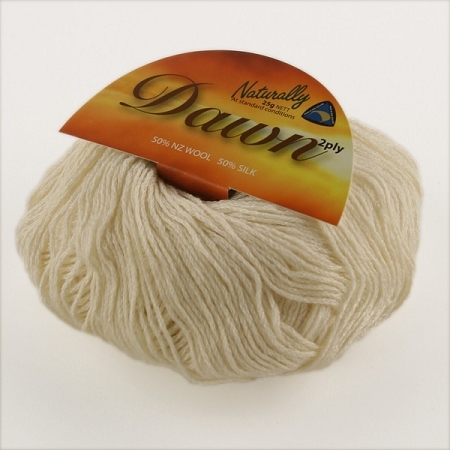 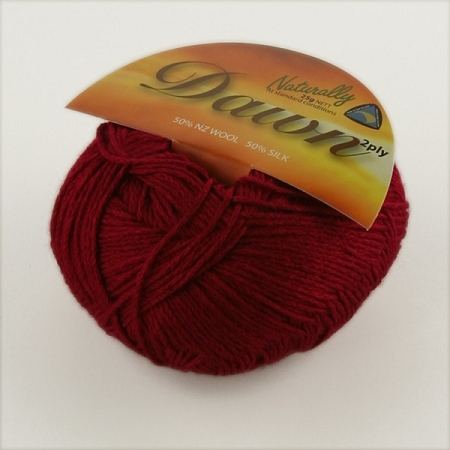 Easy fan stitch pattern in lace weight Dawn (50% silk, 50% wool). 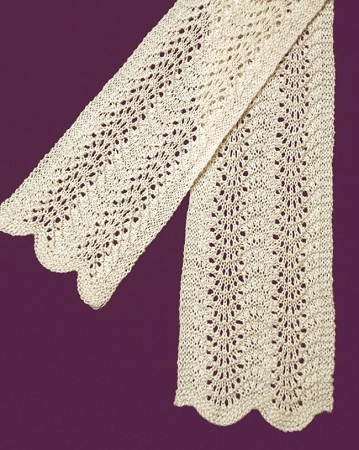 Approximately 4" wide by up to 72" long knit on a size 4 needle. 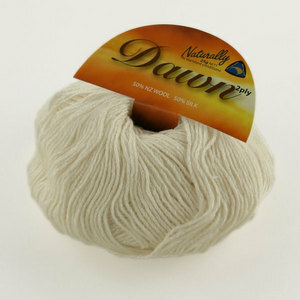 Kit contains 2 skeins of Dawn and pattern.